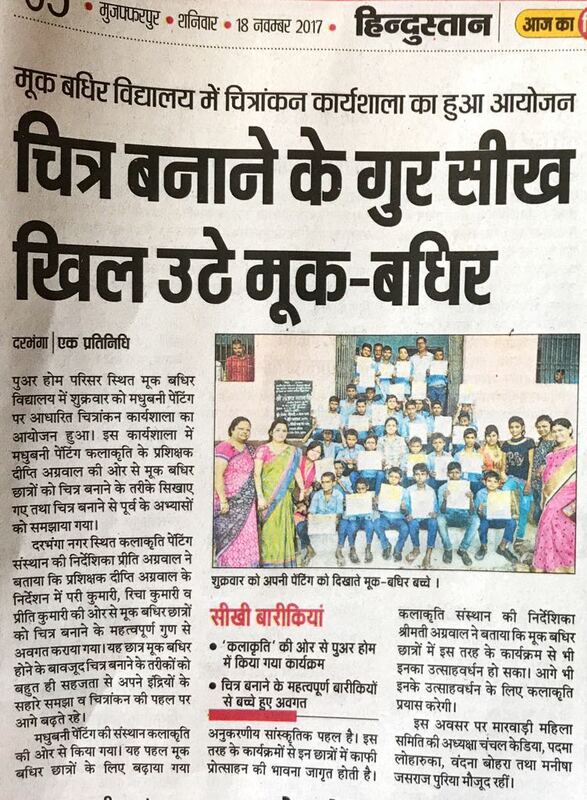 A regional newspaper, Dainik Bhaskar covered our event - 2 hour Free Art Workshop for Deaf and Mute kids. A picture-walk of "The Song of Kalindi" was published in the international lifestyle blog Collectivity. Find the link here. A regional news channel, BTN News covered our event - 2 hour Free Art Workshop for Deaf and Mute kids. A regional newspaper, Hindustan covered our event - 2 hour Free Art Workshop for Deaf and Mute kids. 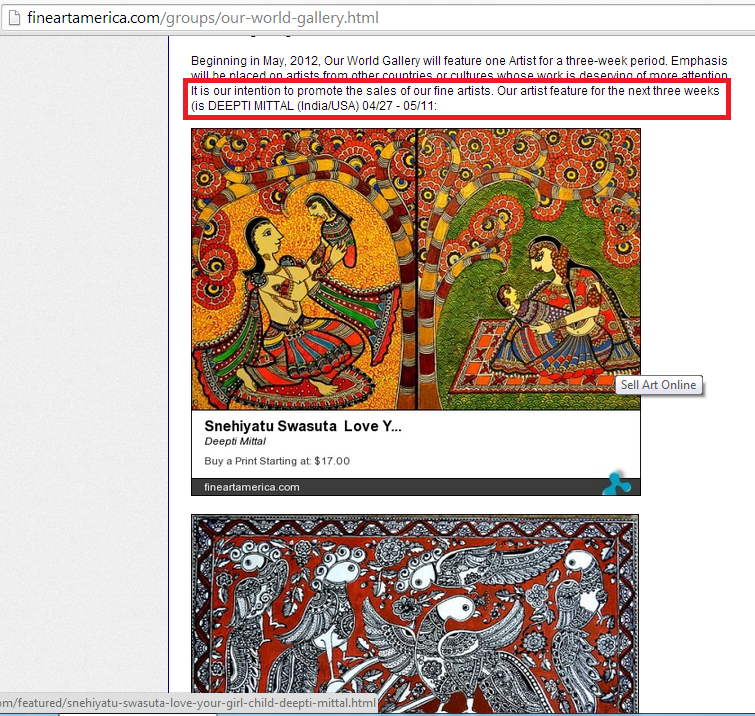 PepUp Street, a renowned blogger published one of Deepti's works and mentioned her among the stalwarts of Madhubani Painting world. Deepti’s painting “Whimsical Tree” was selected to go up as the backdrop of the prestigious event “Aahwan” by Art of Living society. Sri Sri Ravishankar was present at the event. 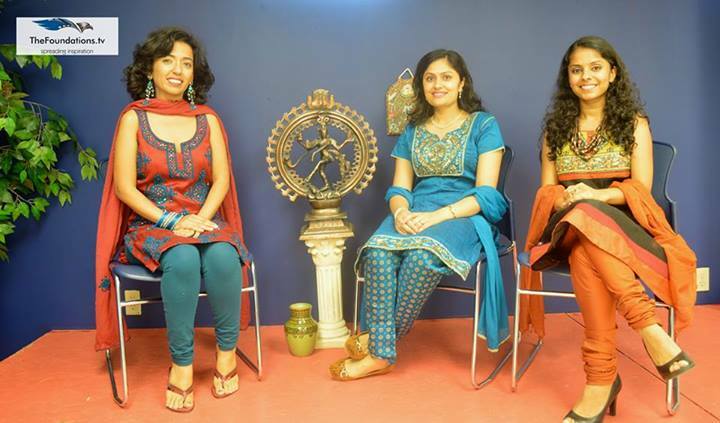 Deepti graced the cover page of Indian Talent Magazine and was the editor’s story for their July 2014 edition. The Fat City Review- Deepti’s art piece “Whimsical Tree” was featured in an International Art Magazine “The Fat City Review”.